In 2016, Ellis embarked on a new century of all-girls education. The pinnacle event was the Centennial Gala on October 15, 2016. 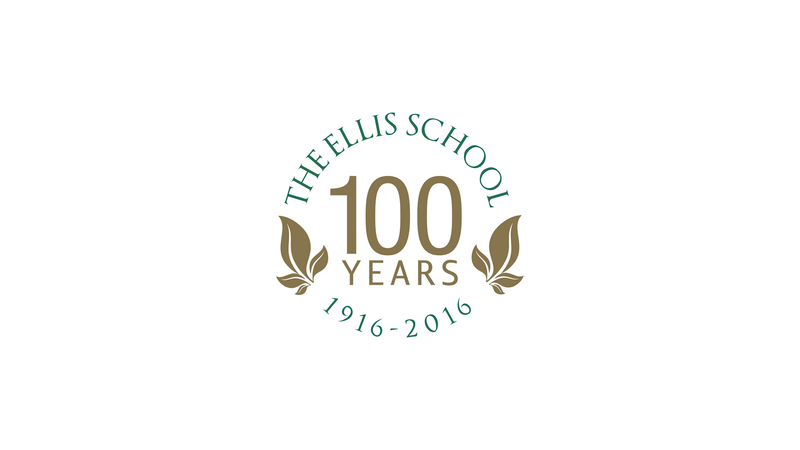 The event celebrated Ellis’s many milestones through the years and showcased the School’s students, alumnae, educators and leaders, past and present. Thirteen esteemed women were honored as Ellis Centennial Laureates for demonstrating outstanding achievement in their respective fields. Eileen is a wife, mother, and grandmother with a long history of volunteer service in Pittsburgh’s Jewish and general community. A life-long learner and avid researcher, she has written articles on Soviet Jewish women, the status of women in Pittsburgh’s Jewish community, and Jewish immigration to Western Pennsylvania. She is currently working on a book profiling 21 Pittsburgh Jewish women. A founder of the Komen Pittsburgh Race for the Cure, she has served on many non-profit boards, including chairing the Family Health Council (now Adagio Health) and was the first woman president of Rodef Shalom Congregation. Eileen also served as chair of the Ellis Board of Trustees and was given the Sarah Frazer Ellis Award in 1999.Eileen is a graduate of Goucher College and the University of Pittsburgh. Deane is president of the United States Board of Directors of Medecins sans Frontiers/Doctors without Borders.She recently retired from Massachusetts General Hospital where she was an anesthesiologist. She is now devoting all of her time to Medicins sans Frontiers/Doctors without Borders (MSF), which she joined in 2006 to work as an anesthesiologist in their surgical program in Ivory Coast. She has worked as an anesthesiologist with MSF in Democratic Republic of Congo, Haiti, Libya, Nigeria, South Sudan, Afghanistan, Syria, and Burundi, and as a medical doctor in Libya, Lebanon, and Guinea. Deane is a graduate of University of Wisconsin and the University of Pittsburgh School of Medicine. Kathy is a highly skilled and creative business leader specializing in angel investing, business development and coaching. She is owner of McMorran Strategists, LLC, created after her career at Aetna and PwC. She has become an angel investor in numerous startups, immediate past president of the Harvard Business School Women’s Association of New York, chair of Executive Forum and engaged in numerous for-profit and nonprofit organizations. She is a graduate of the University of Rochester, where she is now a trustee, and the Harvard Business School AMP. Carol is the producing director of The Flea, the award-winning off-off-Broadway theater located in New York City. There, Carol has produced over 100 world premiere productions and is overseeing The Flea’s capital campaign of a new three theater performing arts center opening in the spring of 2017. Carol was producing director of the Classic Stage Company, founder of The Powerhouse Theater and also has served as an adjunct professor of theater at Vassar College, Chatham College, and McGill University. Carol is a new trustee of Vassar as well as a new board member of The MacDowell Colony, the oldest arts colony in the U.S. She also is a member of the Yale Drama School Board of Advisors, a board member of LAVA, an acrobatic dance collective in Brooklyn, a trustee of Central Synagogue and serves on the Boards of Directors of the National Psoriasis Foundation and the Sag Harbor Partnership. Carol holds a B.A. from Vassar and an M.F.A. from the Yale Drama School. Barbara has worked as a linguist for the government, as an environmental lawyer, and strategic consultant for nonprofits. She served as chair of the board of two independent schools in Palo Alto, CA—Keys School and Castilleja School (an all-girls school)—and was instrumental in leading both through strategic planning processes and campus expansions. Her nonprofit work centers largely on children. She currently serves on a variety of non-profit boards including the John Austin Cheley Foundation and Challenge Success. These experiences have proven valuable in her role as a member of the Ellis National Board of Alumnae Visitors. Barbara is a graduate of Vassar College and the University of San Francisco School of Law. Darcy is president of CBRE’s Global Workplace Solutions, West Division. In this role she is responsible for CBRE’s global occupier clients headquartered in the Western 13 United States including the provision of Enterprise Facility Management, Project Management, Transaction Management and Strategic Consulting services. Darcy specializes in portfolio optimization, corporate strategic planning, and organizational change and design. Creating alignment between business and real estate strategy, as well as insightful portfolio planning and execution, forms the core of her work. Darcy is on the governance committee of Working Solutions, a Community Development Financial Institution whose mission is to provide microentrepreneurs with the access to capital and resources they need to start or grow a successful business. She is also an active mentor and executive advisor to CBRE's Women's Network Forum. She is a graduate of Harvard University and received her master’s degree from the University of California, Berkeley. Kelly is the Chief Operating Officer, partner, and one of the founding members of WorldDealer Advertising, a Pittsburgh agency that provides multi-channel marketing, advertising, and website services to the retail automotive industry. The company was founded in 2000 and services clients across the country. She is also a director for Women-Drivers.com, a subsidiary of WorldDealer. Women-Driver.com provides ratings, reviews, and research for marketing to women auto shoppers and well as supplying valuable research and education to the dealerships. Prior to helping start WorldDealer, Kelly was a media buyer for JW Messner Inc., a Michigan based advertising agency that specializes in automotive marketing. Kelly is a graduate of The College of Wooster. Sara is the CEO and founder of FlexJobs, an award-winning, innovative career website for telecommuting, flexible, freelance, and part-time jobs. Sara had the idea for FlexJobs in 2006 while she was pregnant with her first son, after she experienced first-hand the frustrating search for professional jobs that also offered flexible work options. Having also co-founded an entry-level employment service in 1995 with fellow Ellis classmate Rachel BELL Robards ’92, she has long been passionate about helping people find jobs that make their lives better. In that spirit, Sara is also the founder of 1 Million for Work Flexibility, an advocacy initiative, as well as Remote.co, a resource for remote companies. Sara is a graduate of the University of California, Berkeley, and Harvard University’s John F. Kennedy School of Government, and in 2014 she was named one of the World Economic Forum’s Young Global Leaders. Tomar is a Clinical Assistant Professor of Law at the University of Pittsburgh, and Director of the School’s Health Law Clinic. The Health Law Clinic is a medical-legal partnership between Pitt Law and Children’s Hospital of Pittsburgh of UPMC. In this capacity, Tomar supervises certified legal interns handling case matters stemming from the social determinants of health impacting Children’s low-income patient families. She also teaches an inter-professional seminar, in which nursing and law students have the opportunity to engage in collaborative problem-solving on matters of public health policy.Prior to her return to Pittsburgh, Tomar was a clinical instructor at UDC David A. Clarke School of Law and an attorney with the Children’s Law Center in Washington, DC. She is a graduate of Denison University and Case Western Reserve University School of Law. Shira is a political editor at The Boston Globe, where she oversees a team of reporters who cover City Hall and the presidential election. Previously, she served as the politics editor and a writer for CQ Roll Call, Capitol Hill’s top news source on Congress. In 2014, Shira was a resident fellow at The Institute of Politics at Harvard University – one of the youngest professionals ever to receive that honor. At Harvard, she hosted and produced a weekly seminar on gender, media and the 2014 midterm elections. Shira regularly appears on cable news and radio programs to offer political commentary and analysis. She graduated from Northwestern University in 2005, earning honors on her senior thesis. Elizabeth is an assistant professor at the University of the Arts in Philadelphia. She joined the music faculty in 2008 and currently teaches Musicianship, Jazz Musicianship, Jazz Vocal Improvisation, private lessons, and runs the Jazz Singers Ensemble. She is also involved in the University’s common core curricular committee, as well as being an academic advisor. Outside of the University of the Arts, Elizabeth maintains an active private teaching and coaching studio specializing in everything from classical to pop and rock. Elizabeth also maintains an active performance schedule. In 2009 Elizabeth formed the Elizabeth Ross Quintet, and regularly performs throughout the Philadelphia area. Elizabeth received her B.A. and Master of Music in Jazz Studies from the University of the Arts. Jean completed her Ph.D. in Computer Science at Massachusetts Institute of Technology in 2015. She recently finished her postdoctoral research at Harvard Medical School and joined the faculty at Carnegie Mellon University where she is an Assistant Professor in the Computer Science Department. Jean has interned with Google, Microsoft Research, and Facebook. Her research focuses on programming languages. Jean holds a B.A. in Computer Science from Harvard University and M.S. in Computer Science from the Massachusetts Institute of Technology. Alaina (Lani) is president and CEO of Simple Sugars, a company that makes handmade, all-natural skincare products specially formulated for sensitive skin. The Pittsburgh-based company has grown into an international phenomenon with a team of 22 employees. Lani’s products are sold online and in more than 700 retail locations. While the company catapulted to success after Lani’s appearance on Shark Tank in 2013, she founded Simple Sugars in 2005 when she was just 11 years old. By 2015, the company had reached more than $5 million in sales. Lani was accepted at George Washington University, but decided to forgo college to run her business.